Located in Ft. Lauderdale, Florida, Nova Southeastern University serves approximately 19,000 full-time students. 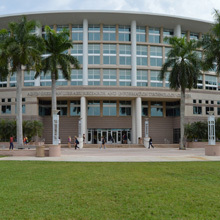 The institution's Alvin Sherman Library, a joint-use facility between Nova Southeastern University and the Broward County Board of County Commissioners, features a collection of more than 1.1 million items. In an effort to provide users with more digital content, the Library launched Flipster®, EBSCO's online magazine newsstand, in January 2015. Since then, Flipster magazines have experienced more than 17,000 online views and nearly 1,700 downloads, with People and Consumer Reports being the most popular. A desire to add value to its library collection without taking up physical space led library leaders at Nova Southeastern University to examine ways to bring more digital services to users. In the summer of 2014, EBSCO introduced library leaders to Flipster, a digital magazine solution. According to Acquisitions Librarian Andrew Copnick, the timing was fortuitous. Libraries that purchase Flipster incur no platform fees and only a five percent subscription service fee. For example, a library can subscribe to $1,000 in digital magazines through Flipster, and pay only an additional $50 a year for a total of $1,050. In addition, subscription terms are flexible. A library can add magazines at any time during its initial subscription period, and they will also expire on the original expiration date set at the time of purchase. Although the Sherman Library started its Flipster subscription with 38 magazines, that number has since grown to 94. In addition to People and Consumer Reports, the most popular magazines among Sherman Library users are Cosmopolitan, Entertainment Weekly, Essence, Rolling Stone, Sports Illustrated and Time. 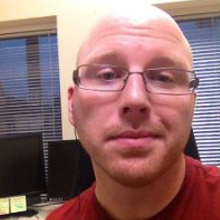 According to Web Services Librarian Michael Schofield, one of Flipster’s greatest benefits is its mobile user experience. The Library has promoted Flipster in a number of ways. Traditional marketing efforts include posters, e-newsletters and press releases. In addition, Schofield created a special landing page for Flipster that highlights specific magazines on a rotating basis. Schofield said he is also able to link users directly to articles within Flipster, which comes in handy for targeted social media campaigns. Since the launch, Flipster has experienced more than 17,000 online views and nearly 1,700 downloads. “I think these numbers are pretty darn good,” Copnick said. According to Susan Berkman, Reference/Subject Specialist Librarian for Business, students are using Flipster magazines such as Time, Bloomberg Businessweek, Forbes and Fortune to support their research and other class assignments. Harris said users have been enthusiastic about Flipster because they can access the magazines from wherever they are.